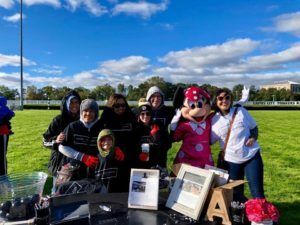 This weekend Team Adira participated in the JDRF One Walk at the Yonkers Raceway. 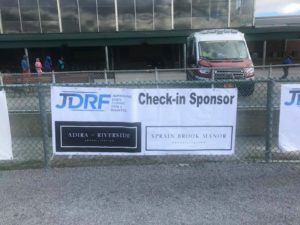 In addition to being a Gold Sponsor with our sister facility, Sprain Brook Manor Rehab, our combined teams raised over $1700 to help find a cure for Type 1 Diabetes. Sunday’s event was attended by a big crowd, all of whom braved the cold windy day to support this worthy cause. According the ADA, over 1.25 million Americans have T1D, also known as insulin dependent juvenile diabetes. It is predicted that 40,000 people per year will be diagnosed with this life-threatening and debilitating illness. The Juvenile Diabetes Research Foundation goal is to create a world without type 1 diabetes and we were happy to contribute. This Sunday’s One Walk has raised over $400K so far and they are still accepting donations. If you’d like to contribute to our team’s effort, you can do so here.